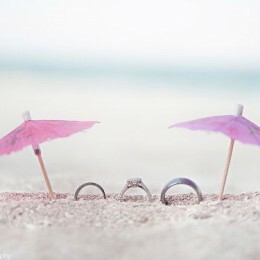 The destination weddings are always associated with luxury, but at the same time laid back style of the bride and groom. A lightweight wedding gown along with the soft hairstyle is the perfect option for the stunning wedding on the beach or in the mountains. Just make sure to bring along all the necessary tools for creating your wedding hairstyle since you might have problems with finding the suitable hair products. You can create the soft waves by blow drying the wet hair using the round brush for extra volume. Afterwards apply the serum for healthy shining, which should be followed with hair curling using the curling iron with the barrel width around 1 inch. Don’t forget to fix the hairstyle with the hairspray. 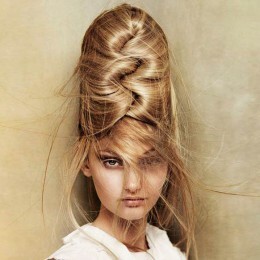 In case the weather is humid outside, make sure to apply the humidity spray after you are done with your hair. This particular will perfectly suit the wedding ceremony with the chic vibe like the one that takes place on the beach. Besides adding a romantic touch to the bride’s look, it will work ideal for the weddings in the places with a low humidity like France and Hawaii. If you plan to have a destination wedding with an inclination to the formal style with a sit-down dinner and classy decorations, consider the chignon wedding hairstyle, which is both functional and classy. 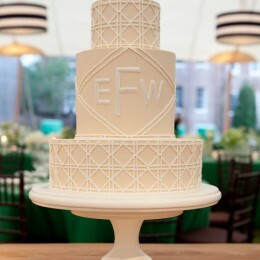 This way you will add a chic and refined feel to your bridal look. For creating the chignon simply blow dry your hair using the round brush. Collect your hair in the ponytail and fix it using the elastic. Don’t forget to spray it with a shine serum and a hairspray at the end. 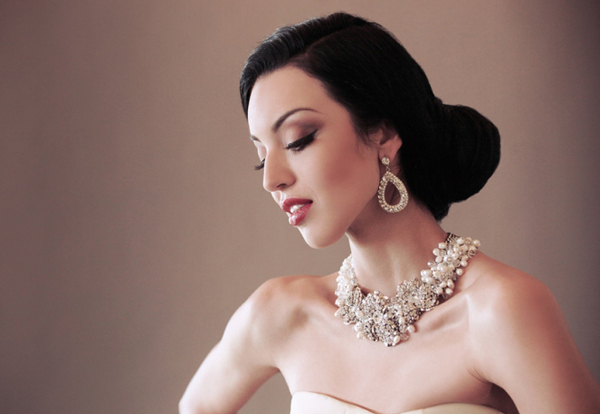 The chignon hairstyle will work best both with a sheath dress. In case you are planning to have a ceremony at the beach or in the tropical forest, consider embellishing your hair with a beautiful flower. Even the most humid weather won’t ruin your wavy ponytail wedding hairstyle. Moreover, the humidity will increase the volume and thus waves, but the front part will still stay sleek. 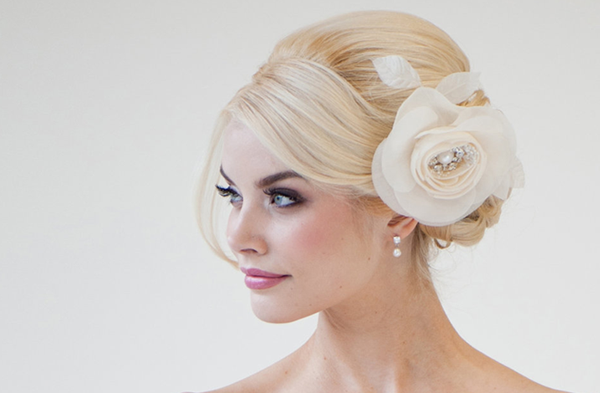 Just like the soft waves, this hairstyle will add a romance to your bridal look. In order to create the wavy ponytail, you should first make the soft waves. Afterwards you should break up the curls and apply the humidity spray. Follow it with your hair tying with the hair elastic on the nape of the neck. Take the lock of the hair and wrap it around the hair elastic to hide it and complement the clean cut look. Don’t forget to figure in advance what kind of sockets the hotel has in order to be fully equipped with adapters for your hair tools if needed. Curling and flat irons should be transported in the carry-on, while hot rollers could be placed in the checked luggage. have here on this post. I shall be coming back to your weblog for more soon.